Read the factsheet in your language: espaÃ±ol, Ø§Ù„Ø¹Ø±Ø¨ÙŠØ©, Bahasa Indonesia, or in English by clicking the image above. Researchers cite other peopleâ€™s work to acknowledge the material they used when writing their own paper. Itâ€™s useful to see which articles go on to cite the paper youâ€™re reading, and how it may have built on or challenged its ideas. Cited-by helps members find out who is citing their content, display the counts, and link to the citing content. Members tell us what works their papers are referencing by giving us that information as metadata when they register content. Then they can query which papers are citing their content. explore how ideas evolve over time by highlighting connections between works. Watch the introductory animation in your language: franÃ§ais ; espaÃ±ol ; portuguÃªs do Brasil ; ç®€ä½“ä¸­æ–‡ ; æ—¥æœ¬èªž ; í•œêµ­ì–´ ; Ø§Ù„Ø¹Ø±Ø¨ÙŠØ© ; Bahasa Indonesia ; or in English below. Step 1: Publishers deposit references as part of the regular content registration. Step 2: We match the metadata in the references to DOIs to establish a Cited-by relationship in the database. As new content is registered we automatically update the relationships and notify you of new links. 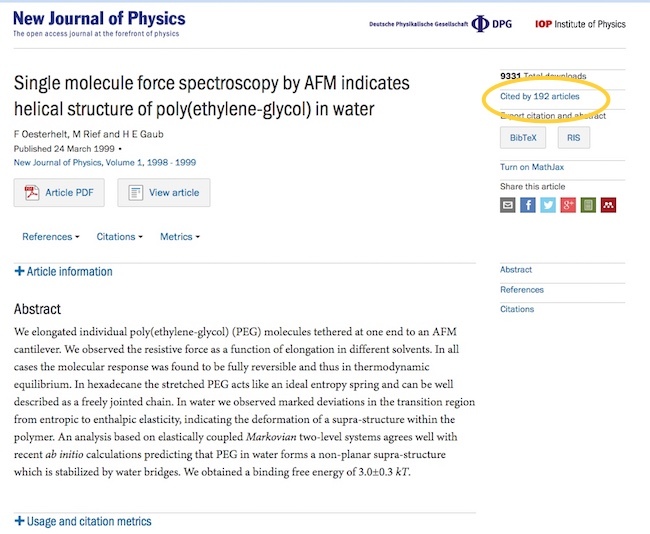 Step 3: Publishers and hosting platforms query relationships, retrieve the metadata of citing articles and display the links on their website. Participation in Cited-by is optional, but encouraged. Because citations can happen any time, Cited-by links must be kept up-to-date. So, members should either check regularly for new citations or (if performing XML queries) set the alert attribute to “true”. This means the search will be saved in the system and you’ll get an alert when there is a new match. Once retrieved, Cited-by counts should be included and linked on your website. Participation in Cited-by is optional. There is no charge for Cited-by. You must include references when you register content, in order to be eligible for Cited-by. You only retrieve Cited-by metadata for your own content. Our public APIs include Cited-by counts but not the actual works. Please contact our member services team with any questions or to get set up, or contact our support team for any technical or troubleshooting questions.